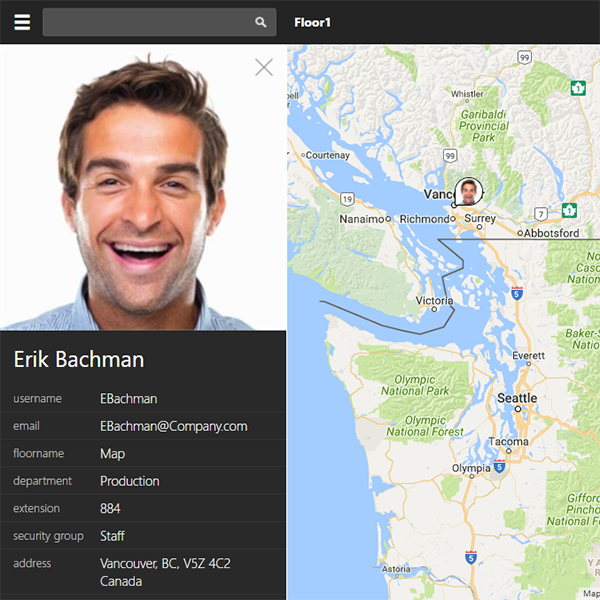 The Quick Search Tool is the fastest way to find an employee in a StaffMap project. Type the name of an employee into the 'Quick Search'. 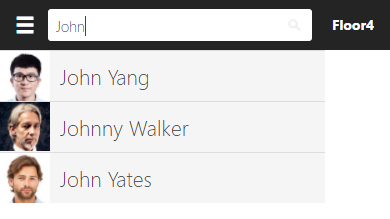 Select the name from the suggestions that appear below the search bar. 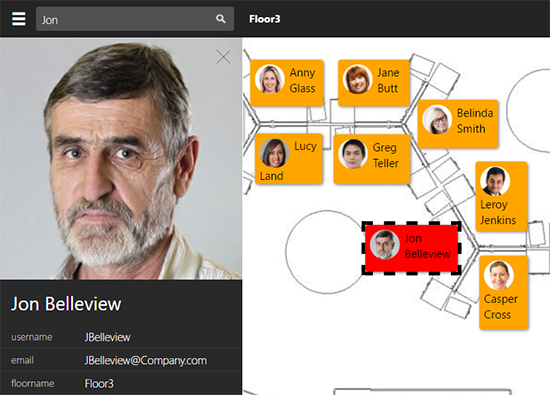 StaffMap will locate that employee on their floor (indicated by a red panel). Note - If you search for a remote employee in the Quick Search Tool, you will be taken to the 'Map' floor to be shown where they are working geographically.